If you've been following us on social media you probably already know that over the weekend we went on a little getaway and took Miley along with us. 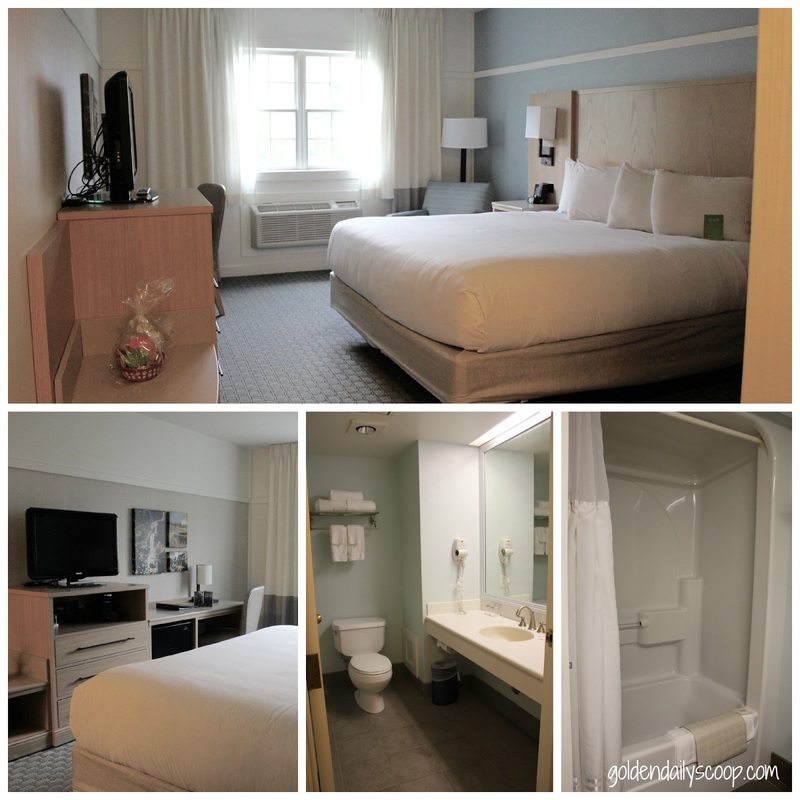 We recently had the pleasure of being invited to stay overnight at Foxwoods Resort Casino's Two Trees Inn located in Connecticut which is about a 1.5 hours drive for us. Disclosure: I was invited to enjoy a complimentary overnight visit to Foxwoods Two Trees Inn and dinner at Cedars Restaurant. All comments are 100% my own. 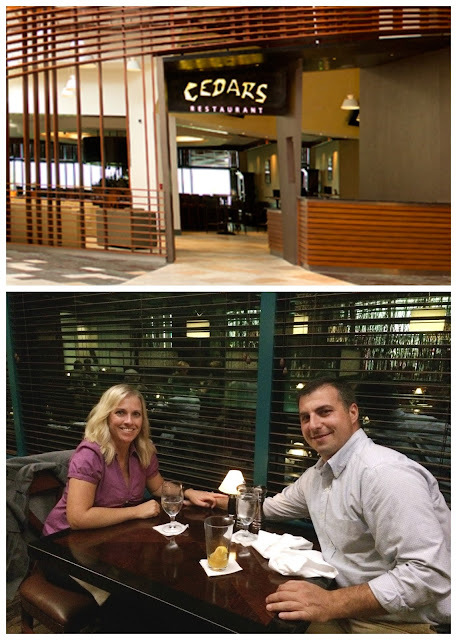 Two Tree's Inn is part of the Foxwoods Casino Complex, complete with a restaurant, bar and indoor heated pool. 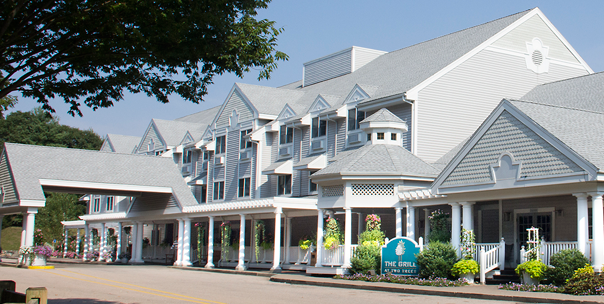 It is close enough to walk to the casino, shopping and spa and just far enough away for a quiet and relaxing getaway. Later that night we enjoyed a dinner at Foxwood's signature steakhouse, Cedars Restaurant which was amazing! So amazing that there was no doggie bag to take back to Miley. Not to worry though, we have big plans for her in the morning! 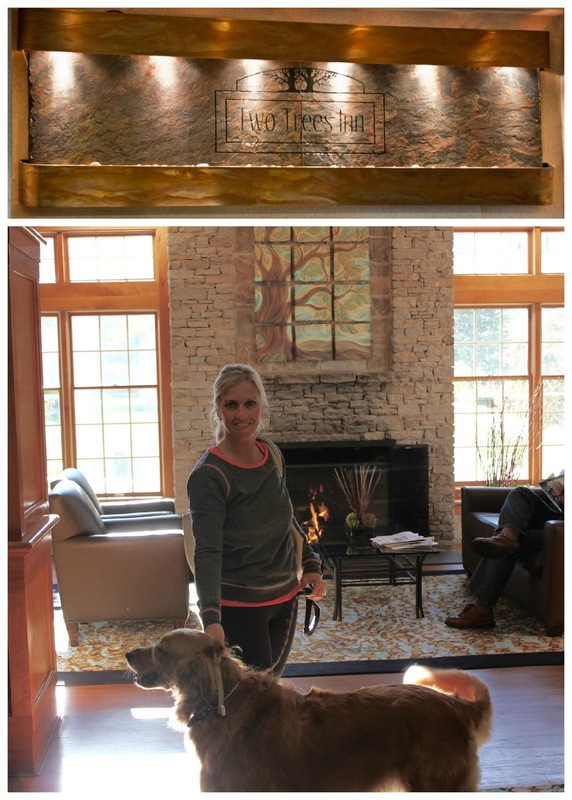 Golden Daily Scoop would like to thank the nice folks at Two Trees Inn for their hospitality and making Miley's first hotel stay a happy and successful one. What a lovely place to stay. 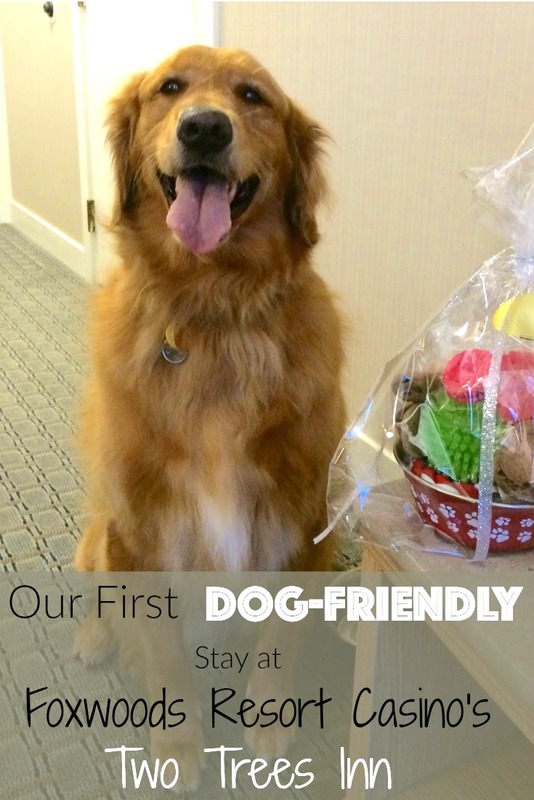 And how nice that it is dog-friendly! What a wonderful getaway! Looks like Miley is having a blast so far! Looks like an amazing place to stay. Lucky Miley! What a nice place that allowed doggies to stay too! Looks like a lovely place to stay! Wow, sure looks like a nice place! What a fun and perfect getaway! 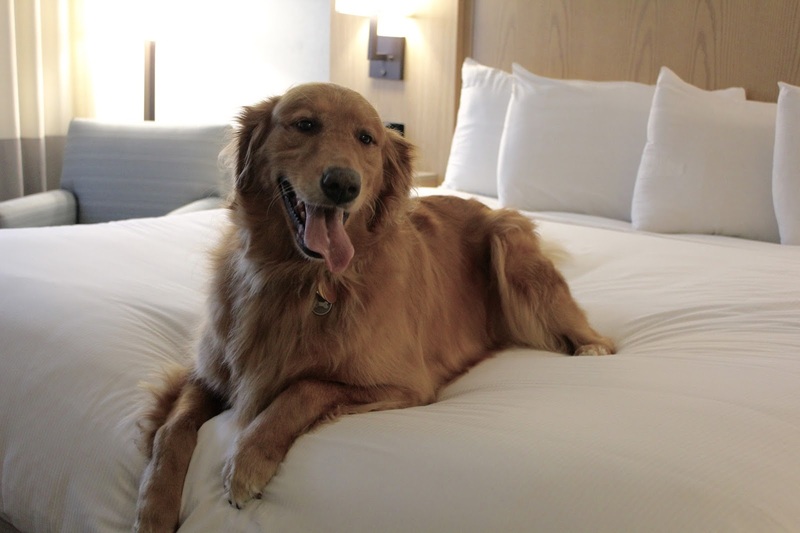 I always love to see "dog friendly" places to stay and hope it catches on in more places! Well hot dang!! I've been to that casino a few times and I never knew about this Inn. It looks like a super nice place to hang out. Thanks for sharing it on the blog hop. Such an awesome time!!! Congrats on being invited! That is a gorgeous hotel. I would love to stay there. How cool that Miley had a gift basket waiting. That looks like a wonderful place. Lucky you. We only ever go to hotels/motels near hunt tests and sometimes those are much...lol. Thanks for joining the hop!